I made this one a for New Year's Eve masquerade we went to. 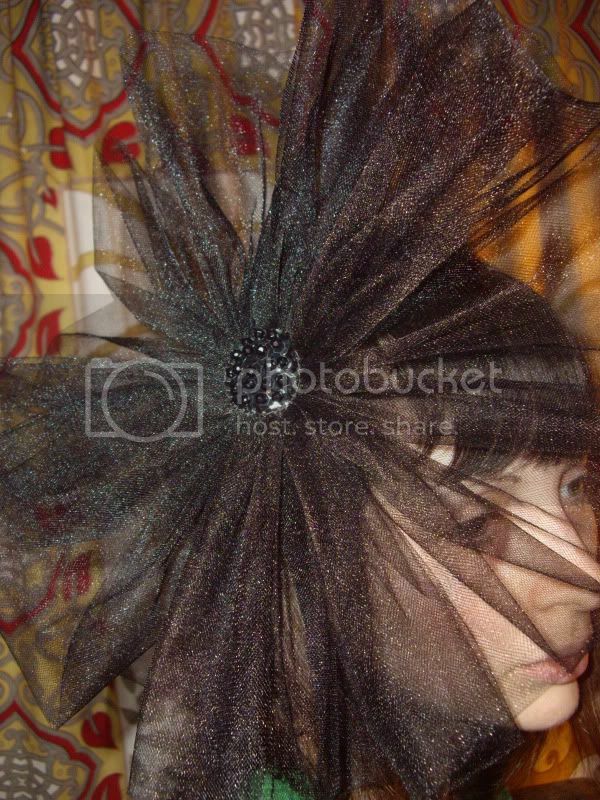 The piece is made with beads, PVC, bridal tulle, cotton, and feathers. I saw some smaller tulle circle flowers and wanted to make a larger version. 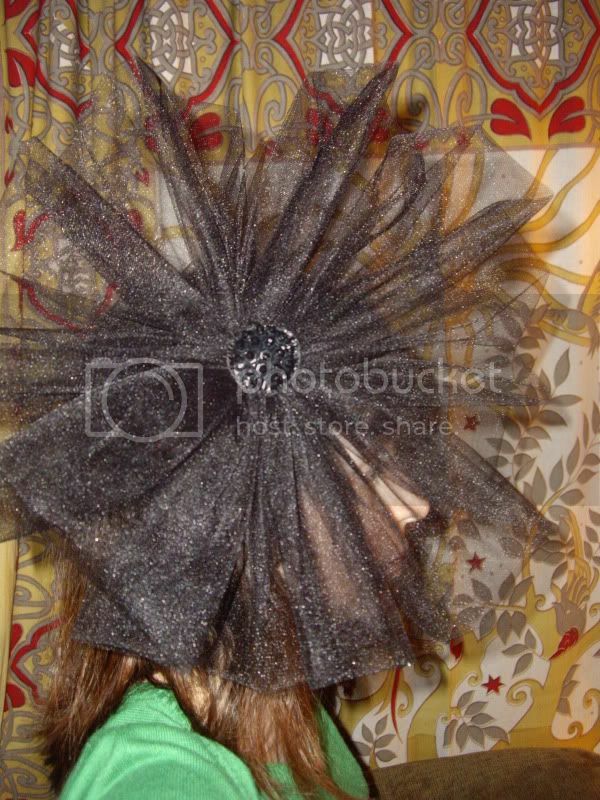 This made using bridal tulle, PVC, sequins and seed beads. 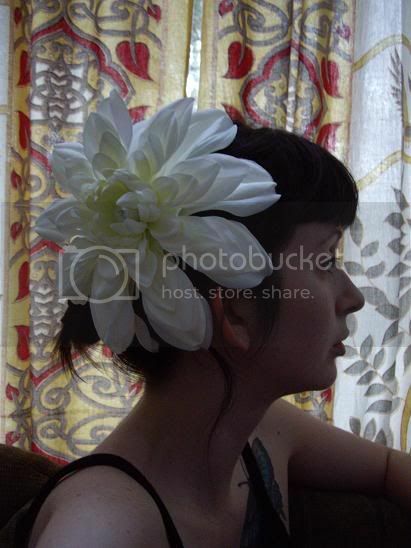 I found a beautiful large white flower at a craft store and decided I wanted to make it into a hair accessory. I used the flower and large faux pearl to make this one. 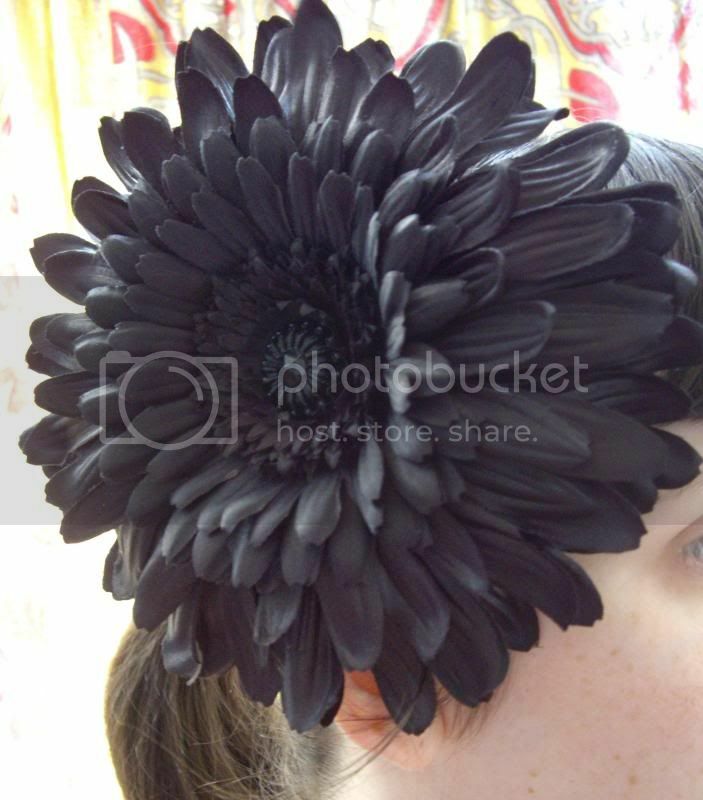 I had been wanting a large black hair flower and was fortunate enough to come across some black daisies at a craft store. I found two different sizes and combined them to make the flower fuller. 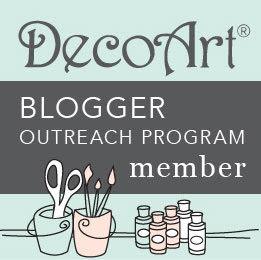 In the center of the flower is a black vintage button. My daughter is having a "Wacky Hat Day" at school today in honor of Dr. Seuss' birthday. 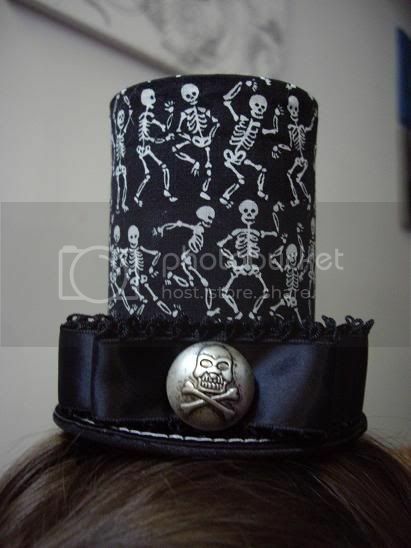 She decided she wanted a mini top hat with skulls on it. I had this mini stovepipe top hat that I found months ago in the leftover New Year's decorations at a store. I think it was supposed to be a decoration, as it had a loop at the top for hanging and said 2009 on the ribbon. I cut off the loop and carefully removed the ribbon. 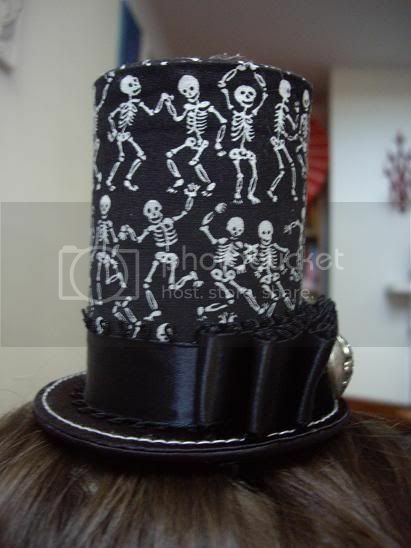 Then I glued on the dancing skeleton print fabric and loop edge satin ribbon. I sewed the layered bow and button together. 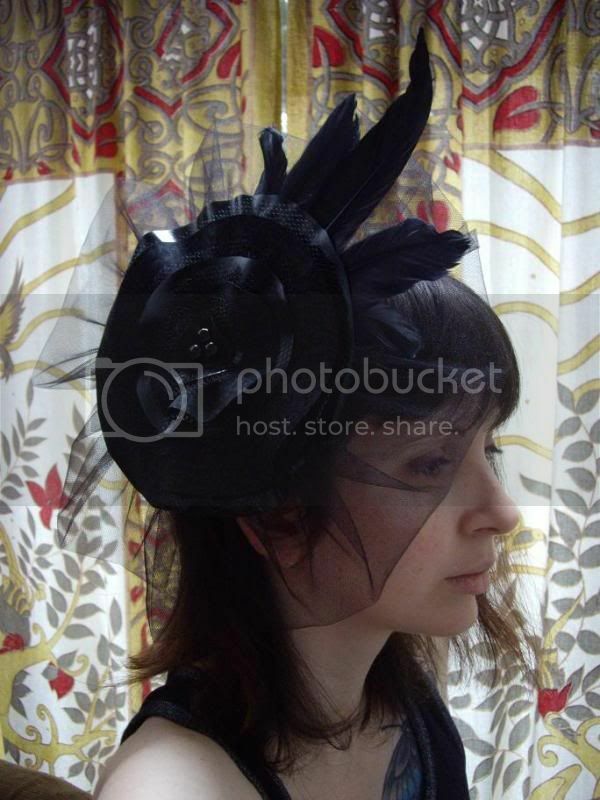 Then, I hot glued the skull adorned bow to the center front of the hat. I hot glued two alligator clips to underside of the brim. She is very pleased with it and currently wearing it to school. This last piece is a customized hoodie that I decorated for my best friend as a birthday present. She is obsessed with toast and toasters, so I had to make it for her. She loved it of course. The black hoodie is from Old Navy. 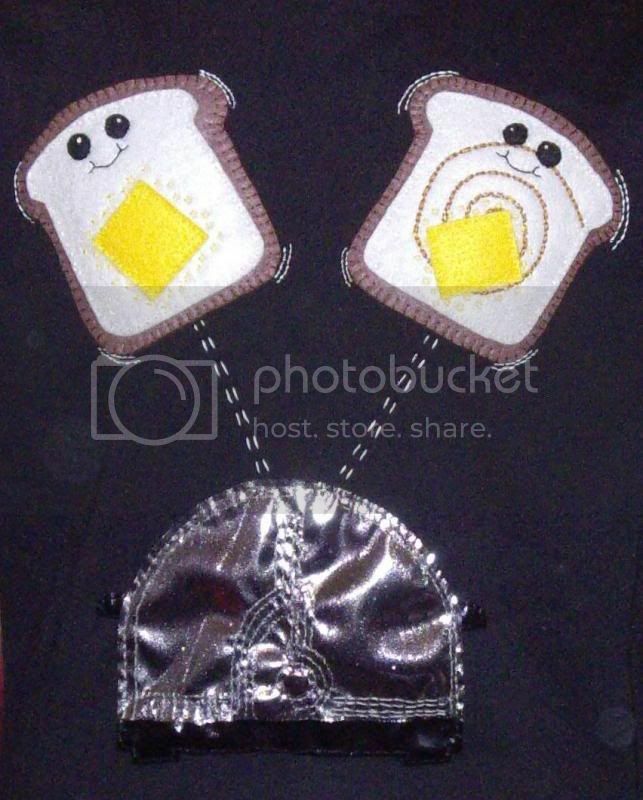 The toast is made with felt and embroidery floss. The toaster is made with silver metallic foil jersey, black PVC, embroidery floss and a flat metal stud. 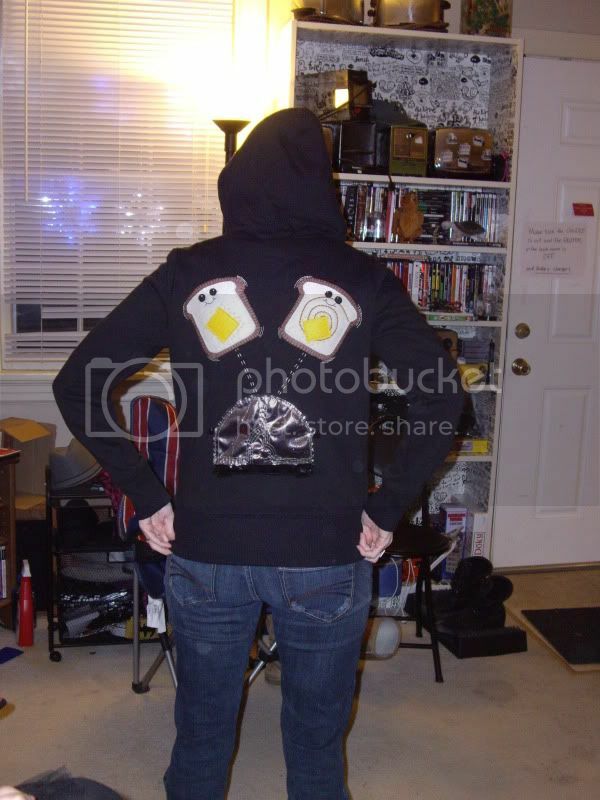 This is my best friend, Kit McSmash, wearing her new hoodie.